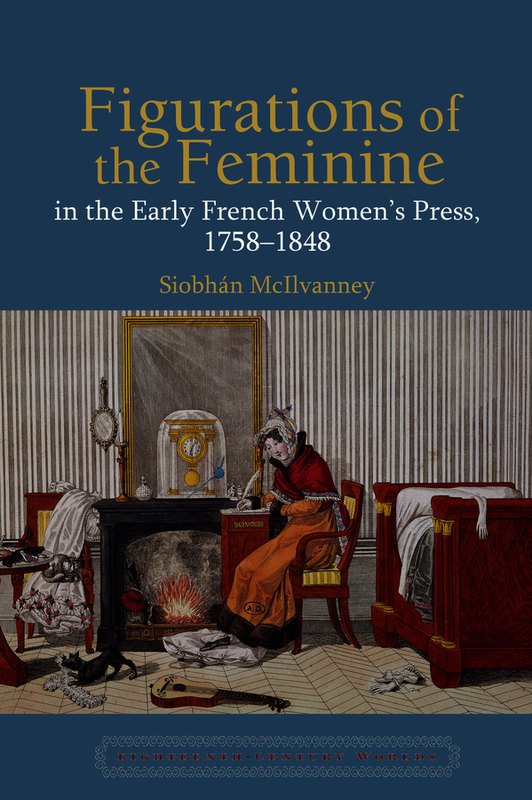 In this original study, Siobhán McIlvanney examines the beginnings of the women’s press in France. Figurations of the Feminine is the first work in English to assess the most significant publications which make up this diverse, yet critically neglected, medium. It traces the evolving representations of womanhood that appear over the first ninety years of women’s journals in France. McIlvanney’s insightful readings demonstrate that these journals are often characterised by a remarkable degree of ‘feminist’ content. This refutes the general conception of the women’s press as an idealised, hyper-feminised space inhabited by the intellectually idle – whether in the form of readers or writers – disseminating and legitimating a limited range of patriarchal stereotypes and idées reçues. Through textual analyses of different ‘generic’ subsections, whether the literary journal, the fashion magazine, the domestic press or more explicitly politicised outputs, Figurations of the Feminine challenges the critical commonplaces which have been applied to the women’s press since its genesis, both in France and elsewhere. It demonstrates the political richness of this medium and the privileged perspectives it gives us on female self-expression and on the everyday lives of French women from across the class spectrum during this key historical period. Siobhán McIlvanney is a Reader in French and Francophone Women’s Writing at King’s College London.